October 24, 2010 snlsingers *SnL Soundbytes* Listen to us, view videos, Our Shows! October 24, 2010 October 24, 2010 snlsingers *SnL Soundbytes* Listen to us, view videos, Our Shows! In the video below, the SnL Singers sing an excerpt from the 1950s hit Goodnight, It’s Time To Go (‘Goodnight, Sweetheart, Goodnight’). Words & Music by Calvin Carter & James Hudson, Arr. Kirby Shaw. Our mid-week gig this Oct 2010 consisted of irreverently mocking Short People (by Randy Newman, arr. Simon Carrington) and a world premiere (right?) of in-house arranger Lee Fong’s a cappella reconstruction of Lullaby of Birdland (Words: George David Weiss, Music: George Shearing), at a concert at the German ambassador’s! The concert, Abendlieder (Evening Songs) featured KL-based international chamber choir Cantus Musicus, who performed a programme of romantic lieder commemorating the 200th birth anniversary of composer Robert Schumann, as well as a selection of folk, blues-jazz and pop songs spanning from the early 19th century to the end of the 20th century. This is a live recording of Lullaby of Birdland. In this video, the SnL Singers are the 8 individuals standing at the front of the stage. The 'Taller Ones' (Cantus Musicus basses taking a walk on the risers) having a field day! "All men are brothers until the day we die... it's a wonderful world!" Christmas 2009 photos & videos! They’re up! Photos & Videos from our Christmas 2009 events! 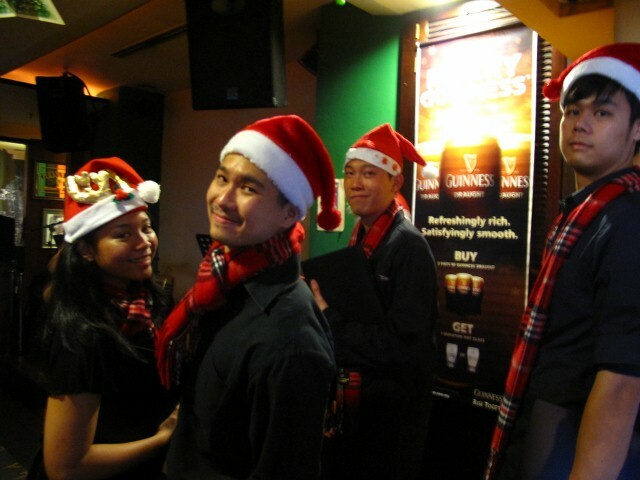 Guinness® Christmas Invasions @12 Pubs of Christmas! 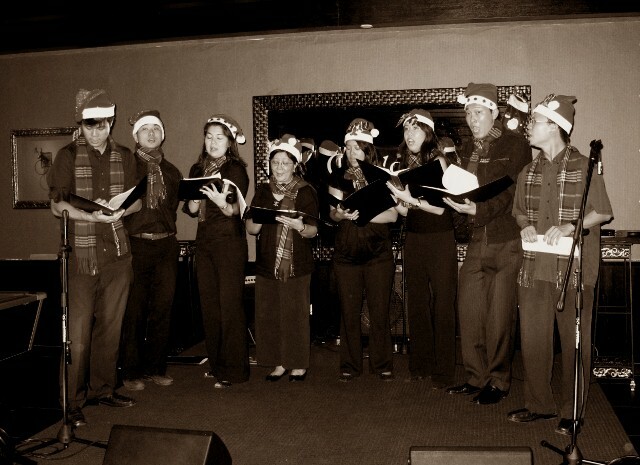 The SnL Singers were the official singers for the Merry Guinness 2009 campaign, which was launched on on Dec 4 at the Tavern, at Guinness Anchor’s SungeiWay Brewery; featuring the trademark parody entitled ‘The 12 Feasts of Guinness’. 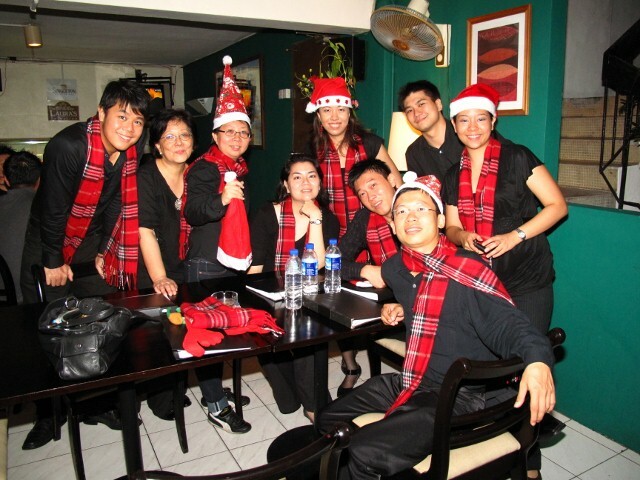 View photos from The 12 Feasts of Guinness, taken during the Merry Guinness launch on Dec 4th! 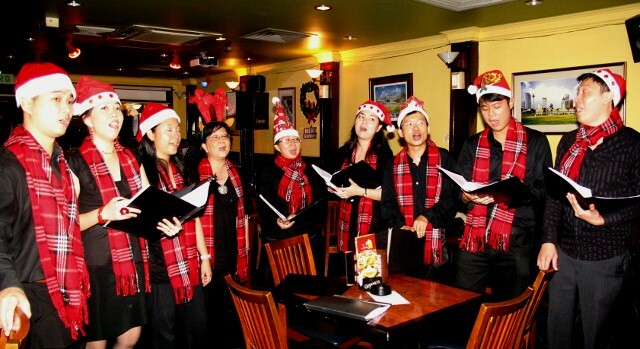 Check out our Guinness tour of 12 Pubs of Christmas (Dec 18, 21-23)! View photos from our wonderful evening at the Royal Lake Club! For bookings, do drop us a line! Highlights from The SnL Singers’ Guinness Christmas ‘Tour’! For more photos, come view our photo albums on our Facebook page at http://www.facebook.com/SnLSingers! Be a fan on Facebook & follow us on Twitter, and receive our updates! Next stop - Delaney's Irish Pub! The rain stopped just in time for us @ Sanook, Plaza Kelana Jaya! Members of the audience came onstage to sing-along, @ The Bank, Plaza Kelana Jaya! A sneak peek of The 12 Feasts of Guinness! – Our promo clip for the Guinness Christmas Invasion at the 12 Pubs of Christmas. 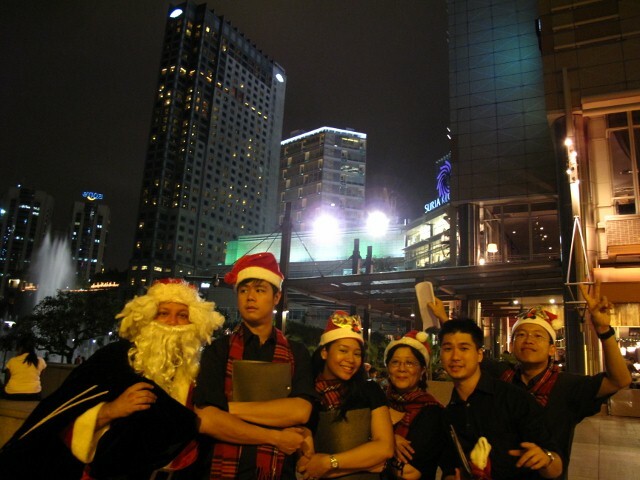 The SnL Singers @12 Pubs of Christmas – Our KL/PJ touring schedule this Xmas ’09! at the following 12 PUBS of CHRISTMAS! 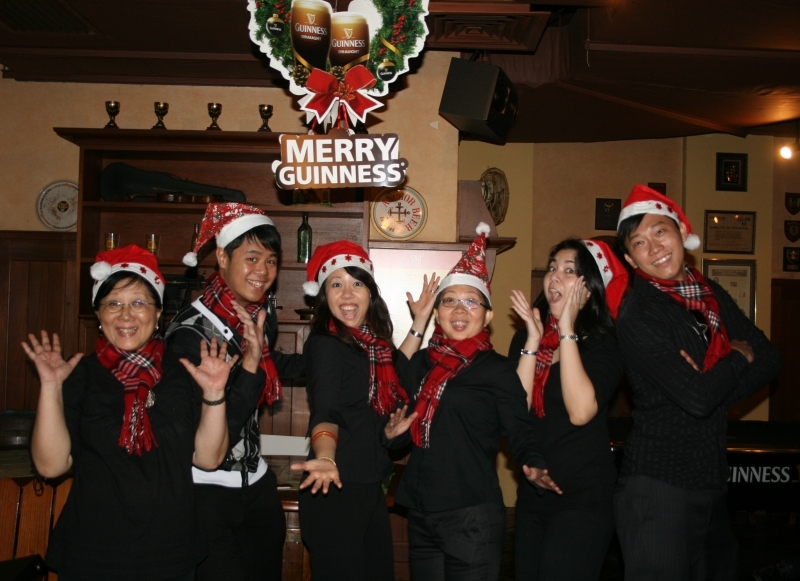 Come join the SnL Singers and the rest of the Guinness Merry-Makers – there will be cool Guinness stuff to be won! Scroll down for a preview video…. Here’s a preview of us performing ‘12 Feasts of Guinness’, the trademark parody for the campaign! The above video is also on our Facebook fan page, here. View more of our Christmas videos here, and on our Youtube site here. Our Christmas Repertoire – New video posted! 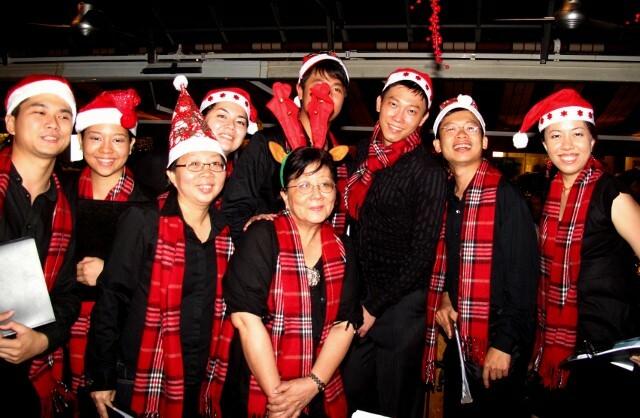 ‘Tis the season again, and here are some samplings of our Christmas Repertoire! For bookings, do contact us.